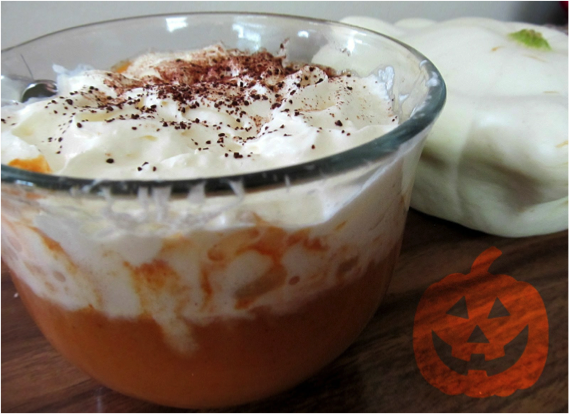 This recipe from Thirsty For Tea pairs rooibos tea leaves with pumpkin. Blooger Bonnie Eng says the two ingredients make for excellent partners, writing, “Both ingredients evoke the warm, earthy flavors of fall.” Eng first toasts the rooibos leaves before adding them to the batter, which she says “helps it to release more of its lightly malty flavor.” She then steeps it in hot water to further release its properties. Pumpkin puree, nutmeg, and cinnamon provide other auspicious flavors. 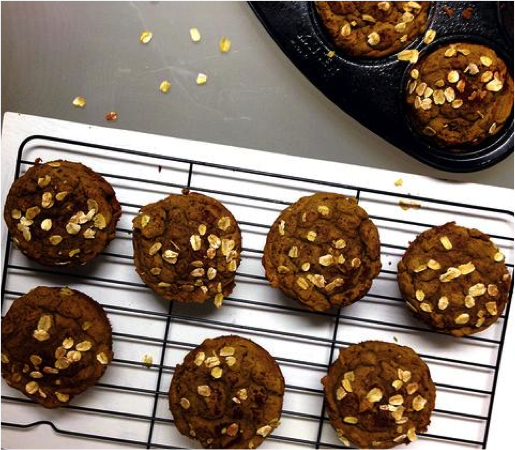 This muffin recipe from Amoda Tea introduces matcha to the pumpkin craze. 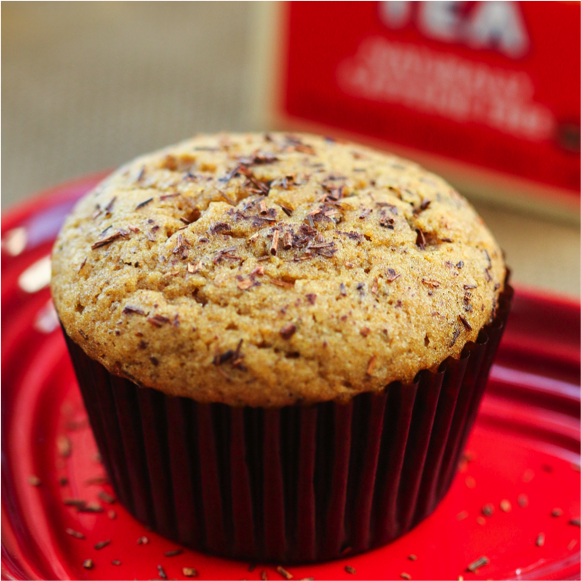 Theses muffins are gluten-free and get their sweetness from coconut syrup. Oats provide a speckled look and textured topping. For an extra does of matcha, spread the site’s matcha butter recipe on each muffin half. This latte recipe from The Cup of Life uses a real pumpkin to bring you a fresh, natural pumpkin latte that uses black tea instead of coffee. Spices include cinnamon, ginger, and cloves, and optional chocolate shavings and whipped cream can take this beverage into dessert territory. 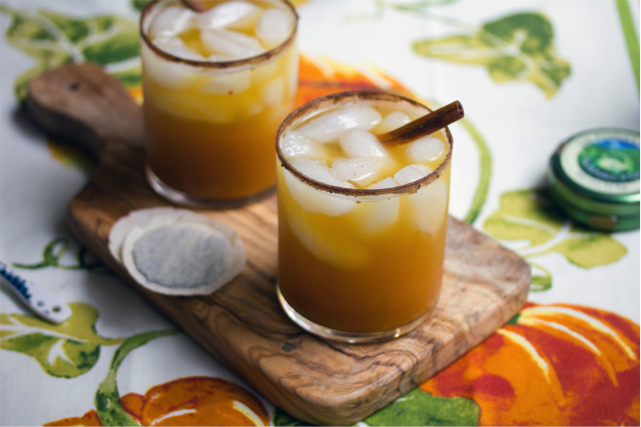 When you need something a little stronger this fall, try this recipe for a green tea-infused pumpkin cocktail from We Are Not Martha. Even though it’s iced, it contains vodka, which is known to warm you up. 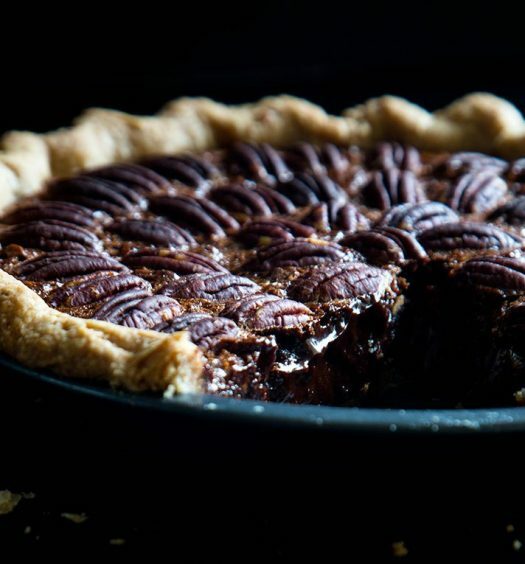 Other ingredients include pumpkin puree, cinnamon, and Pure Via, a liquid sweetener. Garnish with cinnamon sticks for extra flair. You may already start your day with green tea, but try doing so with a green tea that’s part of a pumpkin morning smoothie. This breakfast shake recipe from Food Recipes HQ is easy to make and delicious to taste. 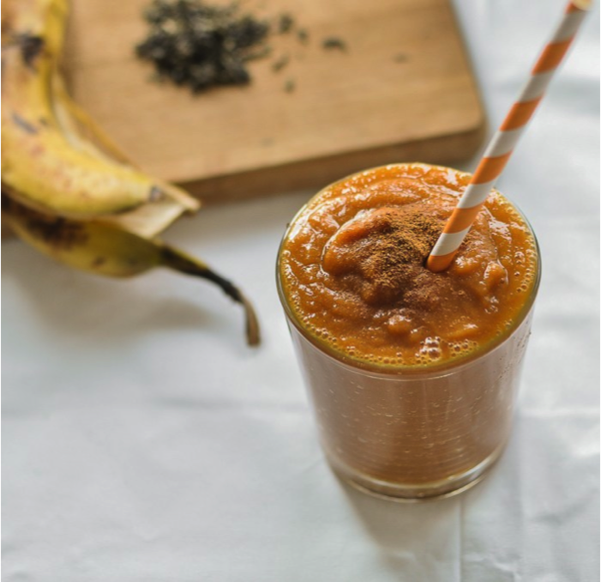 Combine prepared green tea, pumpkin puree, a frozen banana, and Coconom (a coconut sugar alternative) in a blender and puree until smooth. 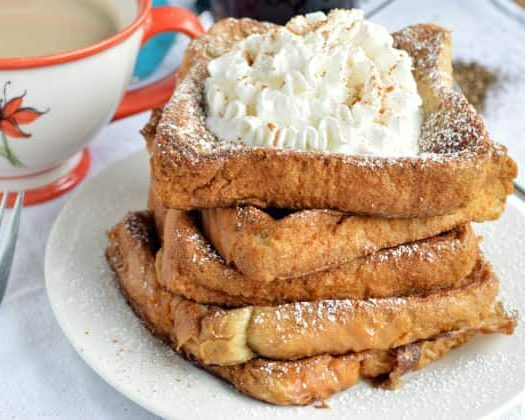 Pour into a glass, top with cinnamon, and start your day off right! 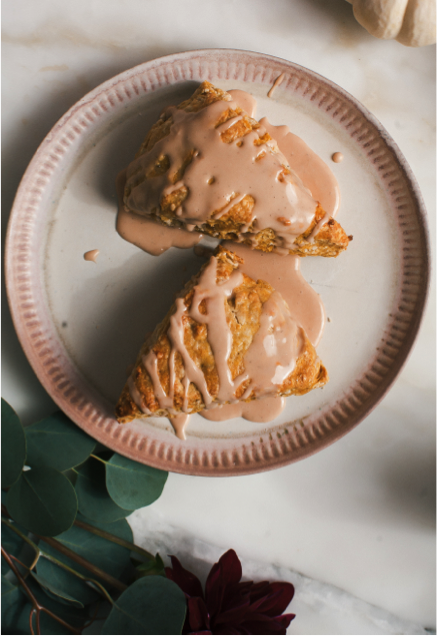 This recipe from A Cozy Kitchen gets creative by pairing pumpkin scones with a black tea glaze made from black tea, milk, powdered sugar, and vanilla extract. The blogger claims, “The black tea glaze is so good and so simple to make. It ties the chai vibes [of the scone] into a beautiful ribbon that you’ll want to eat.” Looking at the picture, we believe her. This cookie recipe from My Darling Vegan is—you guessed it—vegan. Says baker Sarah McMinn, “These cookies are everything you love about snickdoodles – the crunchy outside giving way to a soft chewy inside, the slight tang of cream of tartar lingering a little bit after your last bite. 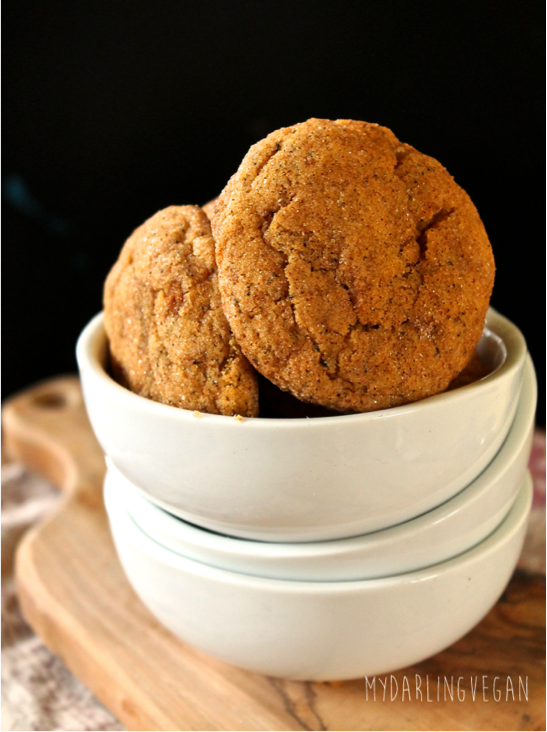 But mixed with pumpkin, black tea, and all your favorite Autumal spices, these cookies are a little taste of nirvana.” For your own taste, try this recipe out!